Happy birthday Kenny Koepke! Happy birthday Tony Sizemore! Budrock took this picture of Kenny. I don’t think I’ve ever seen him sitting down before. 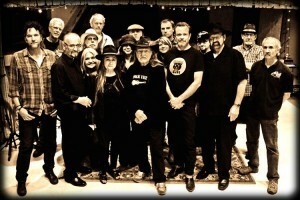 Happy birthday to Willie Nelson and Family members Kenny Koepke and Tony Sizemore. We get to see Kenny on stage before shows, getting ready for the shows. 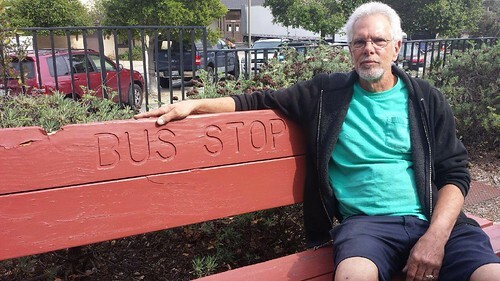 Tony Sizemore, drives the bus and we never see him. 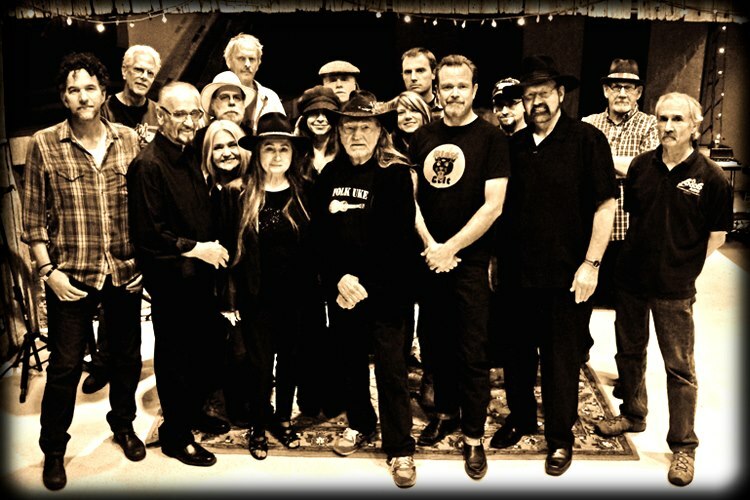 Thanks, guys, for all your hard work, so we fans can enjoy seeing Willie Nelson & Family. 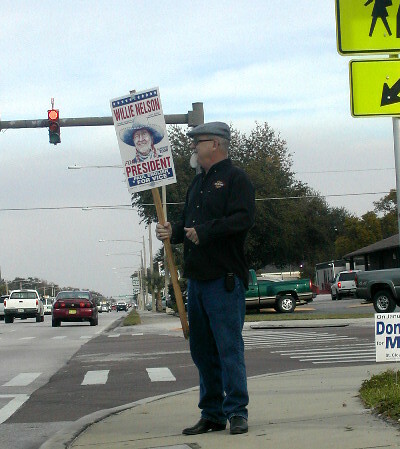 Tony during his spare time, supporting his candidate for president. Thanks to Kevin Smith for sharing this cool photo of Kenny with Budrock. 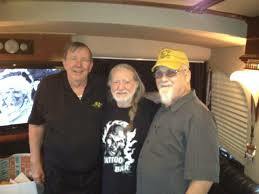 Tony has driven or Willie Nelson and Family for going on 30 years. Thanks to Kevin Smith for sharing this cool crew photo. 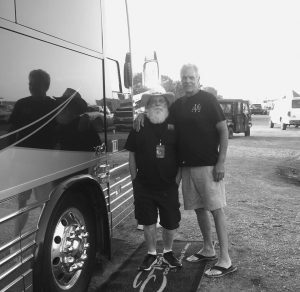 Thank you, Budrock “The Illuminator” Prewitt, Willie Nelson’s lighting engineer, for sharing this photo of fellow crewmember Kenny Koepke, Audio Specialst.